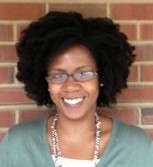 Stacy Brooks is the Communications Manager for the American Physiological Society (APS). One of her favorite things about working at APS is learning about the interesting and important research that physiologists do and finding ways to communicate it to a wide variety of audiences who benefit from these research advances. She enjoys writing, science (and science writing), cooking, yoga and spending time with friends and family. Erica Roth is the Communications Specialist/Writer for the American Physiological Society. As a former reference librarian, Erica has always loved research and enjoys learning more about physiology in everyday life. Her hobbies include reading, watching movies and baking. Audrey A. Vasauskas, PhD, is volunteer editor for the I Spy Physiology blog and an assistant professor of physiology at the Alabama College of Osteopathic Medicine.